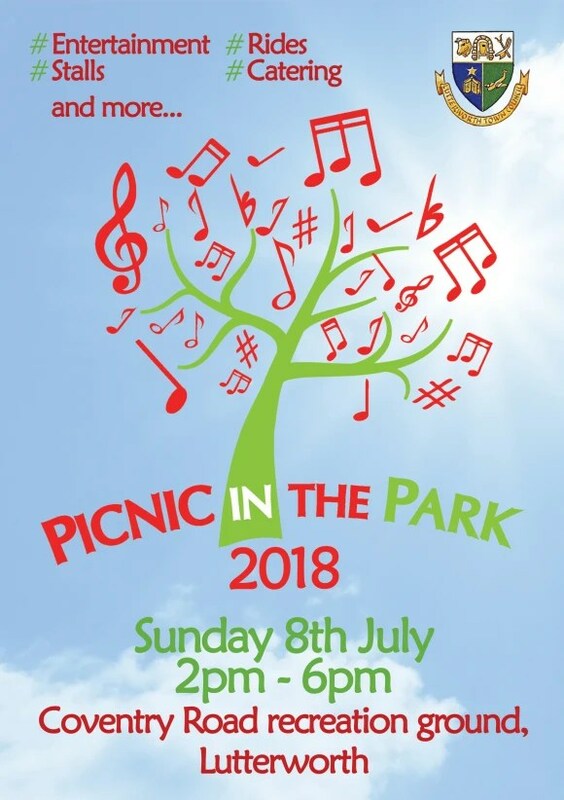 If you have your own business, work for a charity or want to spread awareness of your organisation to 100’s of local residents, you can book a stall at the Picnic in the Park on Sunday 8 July 2018. To book a stall simply download the booking form below or pop into the Town Council offices on the Coventry Road and speak to a member of staff. Alternatively you can call 01455 550225 or email admin@lutterworth.org.uk.